Come and learn how to hit the bulls eye with a bow and arrow. Archery is one of the oldest sports in the world, and is a traditional skill found on all the continents of the world. Like other recreational sports of today archery started as a means of survival, a way of hunting, now it is an Olympic sport open to all ages, both sexes, and all physical abilities. This teaches children concentration and self control in order to hit the target. 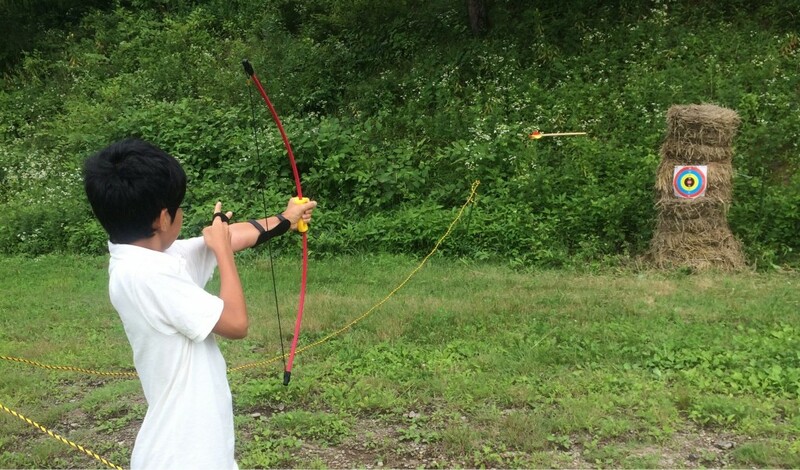 We use special bows made for children to be easy to pull and blunt arrows.